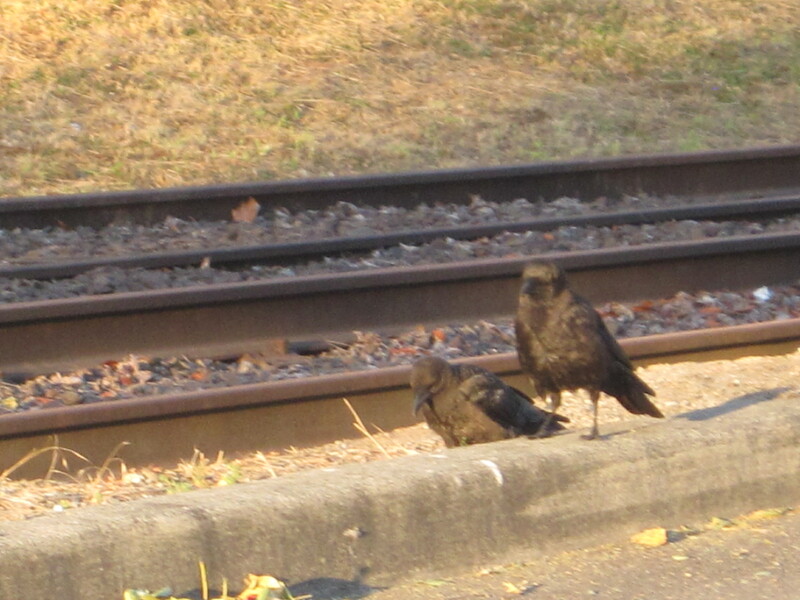 The first time I saw them was back last summer when a little baby was doing the momma momma cry right on the rails. Here is a little video so you can see what I mean. 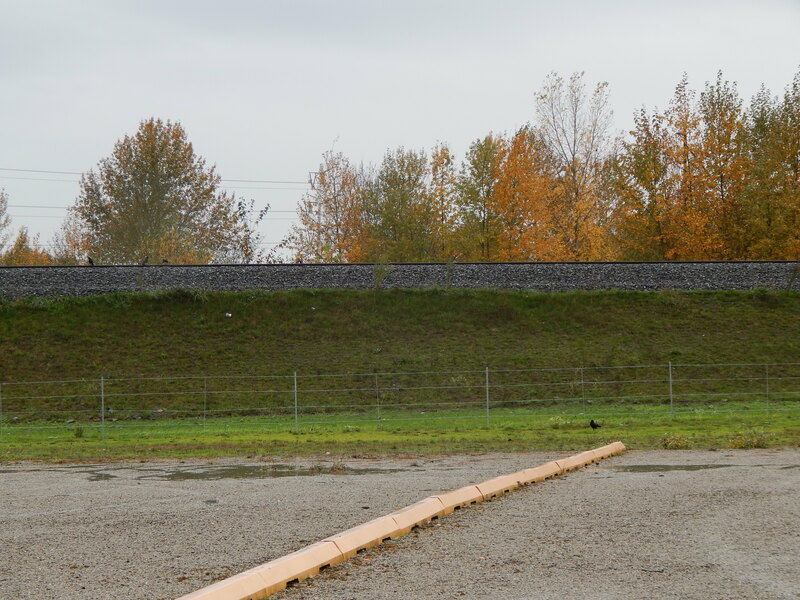 When I went back in November last year here was the family a little south of I-405 and north of the train station along the same rails. Another clue that this territory is owned by a murder. 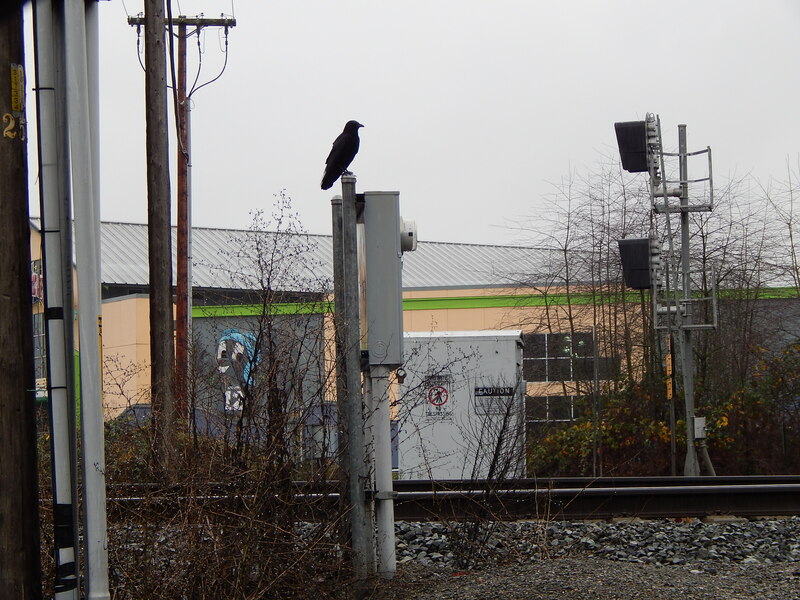 Railroad Crow family late 2017 – see Rocky the Squirrel? What I did not notice until I put the photos on my computer is the well done graphic of Rocky the Flying Squirrel of cartoon fame. This is the Family Fun Center over on the other side of the tracks. 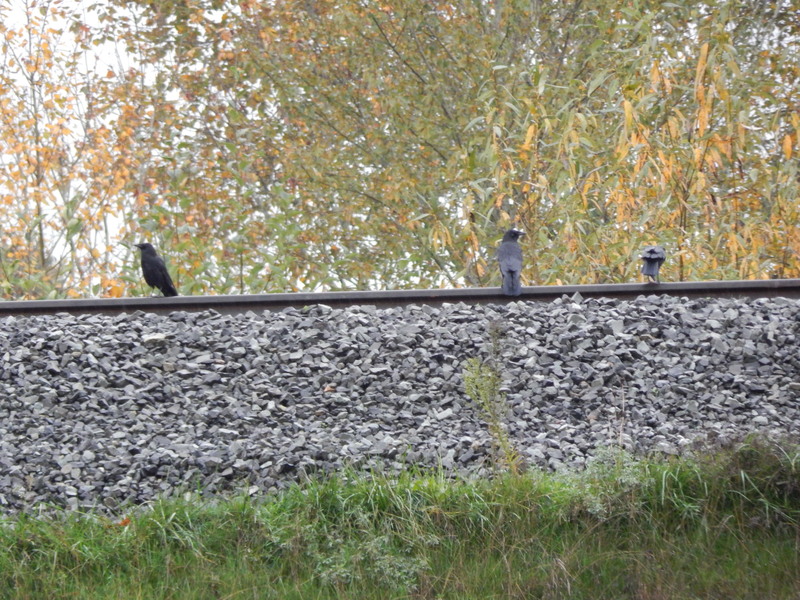 So, why would a crow family find this railroad area their home. I think it is a combination of human food access and wild areas. This is an unusual combination of old, new, developed and undeveloped. Close at hand is the Fun Center with many children running around with food product. There is a major train station to the south too. Right close to where I found them is the skate-park and off on the west side of the tracks per the skaters is a homeless encampment. Sweet!! Lots of free food for the family. Combine that with nooks and crannies, trees and bushes to have a nursery and you have crow home. 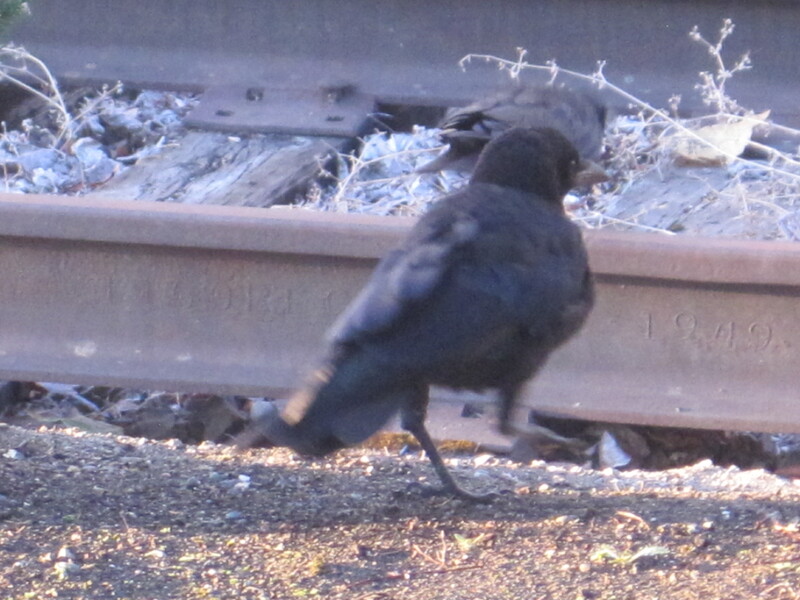 If you live close to corvids, watch and see if you can’t identify a family’s territory. We may not be able to recognize them but bet you it is the same team beating out a living.